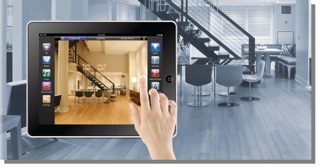 Savant home automation systems are designed to make your time at home easier and more enjoyable. With a tap on your Apple iPad or a simple push of a button on a stylish touch screen remote control, you can dim the lights, close the shades, set a comfortable temperature, and cue up your favorite movie in your luxury home theater room. Savant conveniently gives you the ability to control as many home automation devices as you desire. Let VAST Technologies simplify your life with a Savant Home System today.